B-104 Cranbrook also branded as CHBZ-FM is a famous Canadian channel that features country music broadcasted on 104.7 MHz. It is acquired by the Jim Pattison Group and is a sibling of 102.9 The Drive. In 1995, Canadian Radio-television and Telecommunications Commission accepted the beginning of the CHBZ-FM with a call-sign CKKR. In 2000, the call sign was remodeled to CHBZ. During 2004, CRTC licensed B-104 to add an FM repeater in Fernie at 92.7 MHz. Country music is one of the prominent genres of music that is being admired these days and the Canadian audience can listen the topmost hits as it focuses much on the genre. The tagline of the B-104 is “Total Country”. Listen B-104 live form city of Cranbrook, British Columbia. Wait as the stream loads. 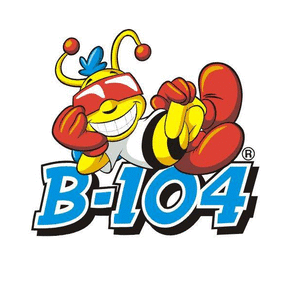 Online Streaming of the B-104 can be listened on the official site of the radio. One can also read out the fresh local news, sports news and the entertainment news by navigating to the news section. Fans also have a choice to request a song and can also check out the weather conditions in different towns. You can use the Lost and Found option of the page to post a lost and found item if you have any. Check out the famous radio stations of Canada.